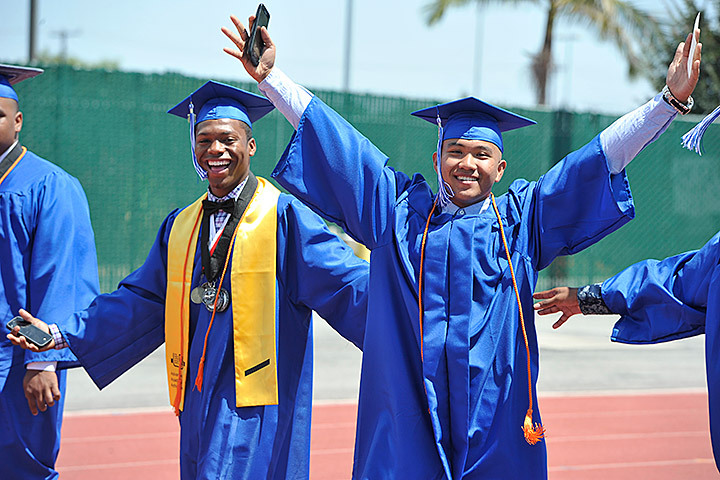 Data from the Washington, D.C.-based Council of the Great City Schools depict Long Beach as a national leader in providing students greater access to Advanced Placement college preparatory courses. • Ranked second on the percentage of students with disabilities who took one or more AP courses. “Great City School districts that have embraced the challenge of educating America’s urban children have recognized the value of benchmarking their performance and growth against the progress of others,” states the report, which examined AP data from the 2016-17 school year. Last spring, LBUSD students registered for nearly 15,000 Advanced Placement college level exams, an all-time high for the school district and a 6.1 percent increase over the prior year. The number of AP exams taken last year was nearly double the amount take five years before. LBUSD has made a concerted effort to boost access to AP courses and tests. The school district provides students greater access to AP exams by covering the cost for families. AP exams usually cost $92 each, but students here pay only $5 per exam for an unlimited number of exams. The school district also expanded course sections on subjects such as AP Computer Science, AP Calculus, AP Seminar and AP Research. AP coordinators and “pathway” coordinators have been added to help guide students toward college and career readiness. COLLEGE READINESS - Jordan High School students celebrate at their commencement ceremony.